Please give as much notice as possible if you can’t make an appointment or need to change your mind. We need at least 24 hours notice in order to try and fill the slot that was reserved for you, but we would prefer a bit more if possible. Failure to let us know that you’re not coming, wastes the therapist’s time and means another patient with urgent needs may go untreated. We reserve the right to charge you the full price of a treatment if you fail to give 24 hours notice of cancellation. If you have pre-paid or are using a voucher, the treatment will be deemed to have taken place and the voucher used if you fail to give 24 hours notice of cancellation. However, we promise to be understanding if you give us sufficient notice and/or have exceptional circumstances. If you have any special requirements such as being on an emergency call-out rota, let us know in advance and we will be as flexible as we can. 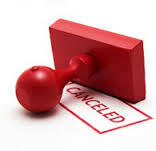 If we have to cancel due to illness or unforeseen circumstances, we will give you more than 24 hours notice if possible and reschedule at your convenience. If you have already paid, we will give you priority on rearranging your appointment or a refund if you prefer. We assume you agree as a condition of booking.